Sky King was a weekly aviation television series from the 1950’s and the name of the pilot who rounded up the bad guys using his Cessna 310 plane. It fired the imaginations of many aspiring young pilots. I hope that this new program does the same. The Aviators is a new weekly magazine-style TV series featuring interesting people, the latest aircraft, the coolest technology and the best fly-in destinations. We will take you behind the scenes to show you how airline pilots train, how planes are built, and how ATC works. We will profile aviation businesses and showcase aviation products. 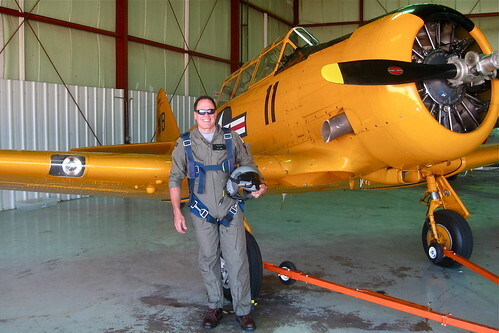 We will provide safety tips for private and recreational pilots and career tips for professional pilots. 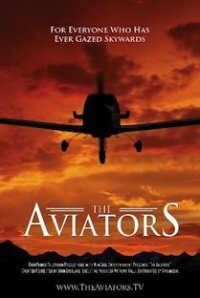 The Aviators is all-things-aviation: “For everyone who has ever gazed skywards.” In the United States, The Aviators will be distributed to all 356 Public Broadcasting Stations in the fall of 2010. Have a look at the preview . This entry was posted in General Aviation. Bookmark the permalink. I first started listening to the old “Sky King” radio series, then followed it onto TV. I could have sworn that when they transitioned to the 310 they at first named it the “Flying Arrow” but Google search & Wiki says no. Either my memory is faulty, or it’s something that slipped down the memory hole. Or perhaps they had a SECOND plane of that name, but I distinctly remember the name. If I obsessed I could go to a good library and read all the old Radio &TV scripts but that’s work. Well Virgil, you could always blame it on the Barbancourt. You can listen to one of the radio broadcasts here complete with organ music. Back in the day the plane was still “Songbird”. Incidentally, off topic, but I didn’t realize that they actually named The University tennis courts after your Dad which no doubt explain your proficiency at the sport. But you ended up playing at a different University? And, no I didn’t play for Dad. You know how Father-son things can go–besides, I wanted to get out of the Mid-West spring winds and early spring spitting snow/sleet! Tennis players HATE high wind! LOL! In those days very few Universities have the superb indoor facilities almost all do now–even the largest of them. Wisc. was the only one in my day–so if one wanted to play tennis year round it was either the South or SW/West coast. LSU gave me a scholarship–so off I went. It had one ofthe finest ROTC programs around (W.T. Sherman was “The Old War Skule” s first President The dorms I stayed in were refurbished pre-Civil War Barracks! 3-story stone w. tile roofs in 4 separate buildings arranged in pentagon shape with central court-yard and street as base of “Pentagon.”) Plus their Poli-Sci Dept was rated 2nd best in South behind UVA. And the FOOD!! And N.O. was only 90mi away!! And the drinking age was 18!!!! Need I go on? Plus the old ICRR ran right past Charleston 10min from my doorstep at Mattoon. Could hop on and ride to Hammond, La., thence by Limo service in those days to Baton Rouge. VERY convenient as I didn’t have a car for first 2 yrs. My Aunt said if I made straight As 1st 2 she’d buy me a car–which is how I got my 64 Metallic Bronze/Gold “Cuda!! No wonder they named the tennis facility after him. That’s a breathtaking list of accomplishments. Football and basketball too. Must have been an interesting guy. This also means you also got to meet the big names on the tour. Given all those college enticements it’s not hard to agree you made the right choice. Not many Aunt’s would provide that kind of incentive but maybe she knew you needed a little more motivation with all that available. (Maybe she was worried about the drinking age?) .